Charlie and Reid Buckley and The Mr. Waterfront® Team support local charities that share our passion for enjoying and protecting the Chesapeake Bay and her tributaries as well as for the people who live here. Chesapeake Bay Foundation is the largest independent conservation organization dedicated solely to saving the Bay. They fight for effective, science-based solutions to the pollution degrading the Chesapeake Bay and its rivers and streams. Their motto, "Save the Bay," is a regional rallying cry for pollution reduction throughout the Chesapeake's six-state, 64,000-square-mile watershed, which is home to more than 17 million people and 3,000 species of plants and animals. The Mr. Waterfront Team donated money and 1,350 stainless steel cups to CBF's Bands in the Sand event. 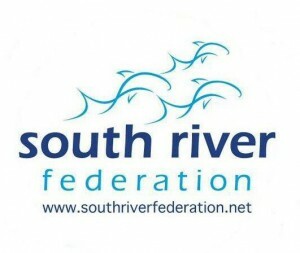 The mission of the South River Federation is to protect, preserve, restore and celebrate the South River and its interdependent living community. They believe in a holistic approach to cleaning up the South River by utilizing all available tools, ranging from scientific water quality monitoring, to rain garden installation, to large-scale stream restoration, to one-on-one landowner education. Their restoration efforts are locally focused and are driven and informed by sound science. The Mr. Waterfront Team donated funds and 350 stainless steel cups to SRF's "South River on the Half Shell" event. 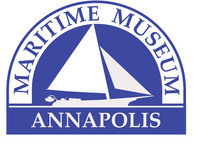 The Annapolis Maritime Museum is designed to educate curious visitors of all ages about Annapolis’s rich maritime heritage and ecology of the Chesapeake Bay, particularly the Bay’s all-important oyster and its harvesters. 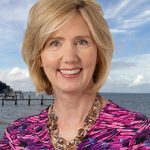 They educate youth and adults about the Annapolis area's rich maritime heritage and the ecology of the Chesapeake Bay through programs, exhibits and community events. The Mr. Waterfront Team donated funds and 750 stainless steel cups to the Museum's Boatyard Beach Bash event. Hospice of the Chesapeake’s mission is to care for life throughout the journey with illness and loss. They provide physical, psycho-social and spiritual support services to individuals living with and affected by advanced illness. These services are provided wherever the patient calls home. 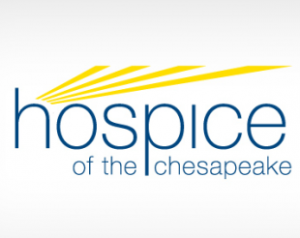 Hospice of the Chesapeake is committed to providing the best possible care for all regardless of their inability to pay. 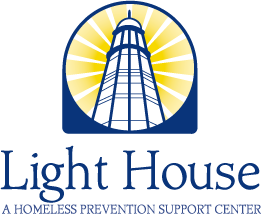 Lighthouse Shelter’s mission is to help rebuild lives with compassion by providing shelter and services to prevent homelessness and empower people as they transition toward employment, housing and self-sufficiency. They offer life-changing programs through a case management centered model that includes, counseling and referral services, basic life skills, and wellness and job training programs that help clients reclaim hope and independence in their lives. The Chesapeake Bay Maritime Museum in St. Michaels, Maryland, is a world-class maritime museum dedicated to preserving and exploring the history, environment and people of the entire Chesapeake Bay, with the values of relevancy, authenticity, and stewardship guiding its mission. What is the average tidal range and how does that impact the MLW and water access to the pier?